Perhaps no other state proudly showcases its unique culture and history the way Tennessee does, and there's no better display of that Great Smoky Mountain history and culture than in Gatlinburg. Two hundred years ago, in 1807, Martha Jane Huskey Ogle, her children and several other family members arrived in a remote locale of Great Smoky Mountains in East Tennessee to honor the wish of her recently deceased husband, William, to settle in the "land of paradise" he had found for them. Today, that remote locale is known as Gatlinburg, Tennessee. Recognizing the need for a 2007 Bicentennial Celebration of the settlement of Gatlinburg, the Gatlinburg Bicentennial Committee was formed in April 2006 to plan and implement activities and programs which would celebrate the settlement of Gatlinburg, as marked by the building of the Ogle Cabin in 1807, throughout its growth and development to present. To be sure, Tennessee's history is rich and diverse. Gatlinburg historic sites, trails, music, crafts and the arts paint a picture of a colorful state that has seen two centuries of statehood. And to showcase that rich history, the Tennessee Heritage Trail has been recently developed by the State in order to highlight the cultural heritage of our people, and numerous Gatlinburg-area locations have been designated as integral stops along the Trail. In order to maximize your time on the Heritage Trail, it's been divided into three distinct pathways. The Arts & Crafts Trail pathway will show you folk art, trolls, candles of all descriptions, hand-made pottery, oak and willow baskets, watercolors, sculpture and lithographs. The Gatlinburg, TN History Trail pathway will allow you to discover the people and events that made Tennessee what it is today. And finally, the Music Trail pathway will find you tapping your toes to diverse styles evolving from three cultural traditions. Most notably, East Tennessee's Appalachian region is known for its folk songs and bluegrass, which evolved from the immigrant influences of the 1700's. Nestled in the valley of the Little Pigeon River's West Fork and surrounded on three sides by the majestic National Park, Gatlinburg has evolved from a rural hamlet to a thriving gateway community. Settled in the early 1800s, it was first named White Oak Flats for the abundant native white oak trees covering the landscape. It is believed a middle-aged widow, Martha Jane Huskey Ogle, was the first official settler here. She came with her family to start a new life in what her late-husband described as a "Land of Paradise" in East Tennessee. Soon after, such now familiar family names as McCarter, Reagan, Whaley, and Trentham took up residence along local streams and hollows. In 1854, Radford C. Gatlin arrived in White Oak Flats and opened the village's second general store. Controversy soon surrounded him and was eventually banished from the community. However, the city still bears his name. In the early 1800s, education came to the area in the form of subscription schools, where parents paid for each child's education. It was not until 1912, when a public settlement school was formed in Gatlinburg. Created by the Pi Beta Phi Fraternity, the school not only provided academic and practical education, it also contributed to a rebirth of Appalachian arts and crafts and the "cottage craft industry" movement. With the formation of the Smoky Mountain national park, tourism boosted the area's economy. Many of the displaced mountain families moved into town, either developing new enterprises or taking jobs in new hotels, restaurants and service facilities to meet the needs of the burgeoning tourist industry. Progress slowed considerably during World War II. But, by war's end, tourists returned with a vengeance and the sleepy little village of Gatlinburg expanded to meet the demands. Incorporated in 1945, it has since developed into a four-season resort and convention Mecca. Originally called White Oak Flats, there are many stories as to how Gatlinburg got its name, all involving a controversial figure who settled here in 1854. Radford C. Gatlin opened the town's second general store and when the post office was established in his store, in 1856, the town name changed to Gatlinburg. He was flamboyant and, as a preacher, established his own "Gatlinite" Baptist Church. He was a democrat in a republican community, and was eventually banished from the area. 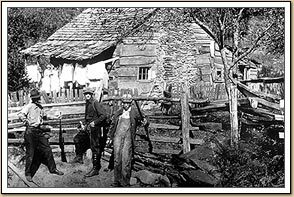 Around 1802, William Ogle selected a building site for what was to be the first "home" to be built in Gatlinburg. After cutting the logs for the cabin, he returned to South Carolina to get his family. 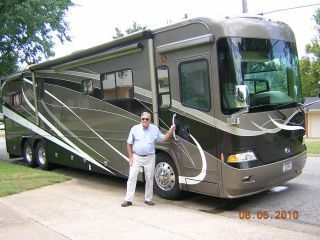 He told them that he had found "The Land of Paradise" in the mountains of East Tennessee. While preparing to bring his family here, he fell ill, probably with malaria, and died in 1803. In 1807, widowed Martha Jane Huskey Ogle, at age 46 or 47, came to her late-husband's "Paradise" with her five sons and two daughters, her brother, Peter Huskey, and his family. From William's oral directions, they located his hewed logs, completed the cabin, and started a new life. Great grandson Andrew Ogle and his family were the last of the clan to live in the cabin, abandoning it about 1910. Religion was important to the settlers and is a large part of the Great Smoky Mountain history. Before they had church buildings, they held services outside or in homes. Although this area was settled by Presbyterians, their first church was Baptist. History records that the White Oak Flats "arm" of the Sevierville Baptist Church convened in the early 1800s on Baskins Creek, probably at the present location of the Ogle cabin. Under the guidance of the Reverend Richard Evans, a second church was built on River Road near the mouth of Mill (now Le Conte) Creek, and in 1837, they formed a new church and called it White Oak Flats Baptist. The congregation met in a log cabin on Baskins Creek, which also served as a school. The first frame church building was constructed in 1875, at the corner of the Parkway and Baskins Creek Road (see historic plaque on the sidewalk). The congregation changed its name to Gatlinburg Baptist Church in 1932; in 1951, they constructed a landmark stone church at the same location. As businesses crowded around them, First Baptist moved to its present location on Highway 321, east of downtown, in 1991. So take a trek on The Tennessee Heritage Trail in Gatlinburg and experience all of our culture and history for yourself.